In case you were born with THIN lips, or if aging has flattened your lips, you can do something about it. There are several lip augmentation procedures available today to enhance the size and shape of your lips. 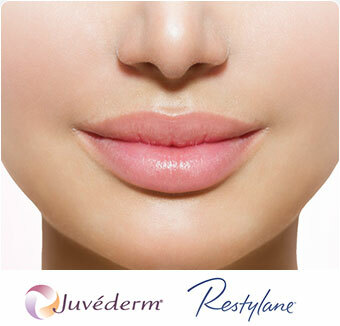 All involve inserting a synthetic, biocomopatible material (Restylane, Juvederm). Correction of larger facial wrinkles, lines, creases, and other age related changes. Cheek enhancement, lip augmentation, nose corrections, jaw angle and jaw line enhancement. You can even use tissue from your own body. Lip augmentation is performed under local anesthesia on an outpatient basis. Recovery takes about 2-3 days, after which your lips will feel normal and look marvelous.